1. Pandora – How wants to listen to the same songs all day? 2. FaceBook – If you are on it. 3. Mint – If you care about your money! 4. 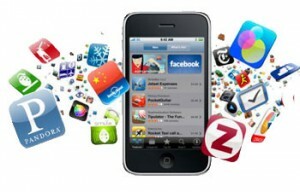 Bump – If you like other iPhone users. 5. LinkedIn – If you are in business. 6. UrbanSpoon – If you eat out. 7. Fandango – If you go to the movies. 8. Amazon – If you shop online. 9. Wikipedia – I you like to know stuff. 10. Camera+ – If you like to edit your pictures. 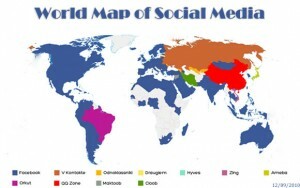 The social media world keeps turning blue with the exception of Eastern Europe and the Eastern parts of South America. This makes FaceBook the only startup that actually (almost) achieved world dominance since it launched on February 4th, 2004 – only six years ago! And didn’t we all go for world dominance at one point or the other? Map created using Google Insights for Search. Unlike Google Trends, Google Insights for Search provides a visual representation of regional interest on a country’s map. It displays top searches and rising searches that may help with keyword research. Results can be narrowed down with categories that are displayed for each search terms. Poll: Will FaceBook rule the World? Vote here. FaceBook founder Mark Zuckerberg is at age 26 (!) one of the world’s youngest billionaires, but he iss not keeping it all for himself. By signing on to Bill Gates and Warren Buffet’s initiative called the “Giving Pledge,” Zuckerberg agreed to give most of his wealth to charity. Mark also donated an undisclosed amount to the open social network project Diaspora as well as $100 million to Newark Public Schools. He spoke about the Newark donation on the Oprah show , explaining his dedication to help fix the public school system. The Giving Pledge, however, is a completely different ball game. Along with 57 other multi-millionaire and billionaire families and individuals, including Warren Buffet, Bill Gates, Paul Allen and Carl Icahn, by signing the pledge Mark Zuckerberg promised to give more than half of his wealth to charity, either during his lifetime or after his death. “People wait until late in their career to give back. But why wait when there is so much to be done? With a generation of younger folks who have thrived on the success of their companies, there is a big opportunity for many of us to give back earlier in our lifetime and see the impact of our philanthropic efforts,” said Facebook co-founder and CEO Mark Zuckerberg in a statement. According to Forbes’ estimate, Mark Zuckerberg is worth $6.9 billion, which makes him the 35th most wealthy Americans. Although many consider him to be the world’s youngest billionaire, he recently lost that title to Facebook co-founder Dustin Moskovitz, who is only eight days younger than him and whose worth is currently estimated at $1.4 billion. Facebook is a social network service and website launched in February 2004 that is operated and privately owned by Facebook, Inc.
year by university administrations in the US with the intention of helping students to get to know each other better. Facebook allows anyone who declares themselves to be at least 13 years old to become a registered user of the website. Facebook was founded by Mark Zuckerberg with his college roommates and fellow computer science students Eduardo Saverin, Dustin Moskovitz and Chris Hughes. The website’s membership was initially limited by the founders to Harvard students, but was expanded to other colleges in the Boston area, the Ivy League, and Stanford University. It gradually added support for students at various other universities before opening to high school students, and, finally, to anyone aged 13 and over. 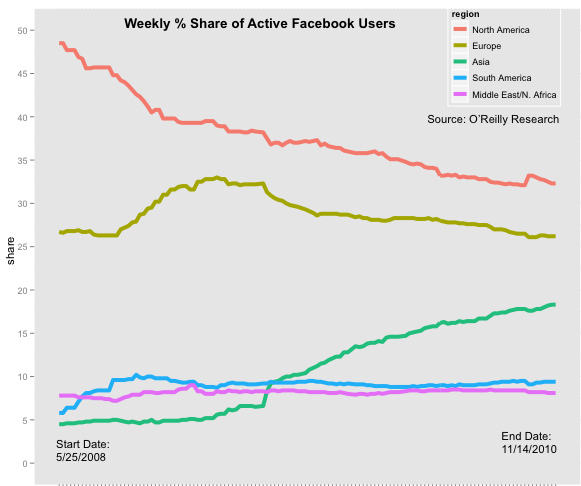 A January 2009 Compete.com study ranked Facebook as the most used social network by worldwide monthly active users, followed by MySpace. Entertainment Weekly put it on its end-of-the-decade “best-of” list, saying, “How on earth did we stalk our exes, remember our co-workers’ birthdays, bug our friends, and play a rousing game of Scrabulous before Facebook?” Quantcast estimates Facebook has 135.1 million monthly unique U.S. visitors. Companies that still rely on old media reporting tools are unable to react to potential damages to the brand in a timely fashion. This might be most prominently showcased by online consumer reactions to brands which quickly became viral. According to some observers, this damages do not only have a long term negative impact on the brand itself but might also be able to significantly effect a company’s valuation. You have probably seen it. But by the way of a short summary: Dave Carroll had his Taylor guitar destroyed by the United Airlines’ passenger baggage handlers during a flight in 2009. United repeatedly declined to reimburse the musician for the damage. So he wrote a song decrying their customer service and their brand. After releasing the song on YouTube the video promptly went viral before the airline could react. 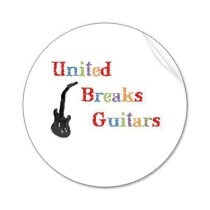 By the time of this writing the ‘United Breaks Guitars’ video has been aired by most mayor TV stations and was watched more than 9.6 Million times on YouTube alone. Google anounced today that the company is buying anti-piracy software company Widewine. Widevine provides digital media solutions for the delivery of digital entertainment to any device. Hundreds of service providers use Widevine’s multiplatform DRM and video optimization solutions for securing high quality video and audio. Widevine is a privately held corporation headquartered in Seattle, WA, funded by Constellation Ventures, Cisco Systems, Charter Ventures, Dai Nippon Printing Co., Ltd. (DNP), Pacesetter Capital Group, The Phoenix Partners, TELUS (NYSE: TU) and VantagePoint Venture Partners. Widevine is excited to announce that we have agreed to be acquired by Google. For many years, Widevine has enabled consumers to access digital entertainment content. Through a combination of content protection and video optimization technologies, we’ve provided consumers with the highest quality Internet video experience while giving them freedom to watch on a variety of devices. With the recent growth of Internet video and network connected devices, it is increasingly important for technology to provide consumers with the capability to watch what they want, when they want, where they want. By working with Google, we are even further committed to the consumer Internet video experience and to the needs of content owners. Widevine will continue to supply the industry with leading video optimization and content protection solutions. We are excited to have access to Google’s vast resources as we continue to improve our products, support our customers, and meet the future needs of consumers, content owners, service providers and device manufacturers everywhere.